The performances are free and open to the public, subsidized by a generous donation from benefactors the late James and Marian Payne. Donations are encouraged to support scholarship funds for EMU theater students and for female peacebuilders from the Middle East to attend graduate school in conflict transformation at EMU’s Center for Justice and Peacebuilding. Tickets can be reserved at the EMU box office. If performances are not sold out, tickets will also be available at the door. “I Shall Not Hate,” adapted for the stage by Israeli director Shay Pitovsky and performed by actor Gassan Abbas, will be presented Friday, Feb. 16, at 7:30 p.m.; and Saturday, Feb. 17, at 2 p.m. and 7:30 p.m. in the Mainstage Theater. 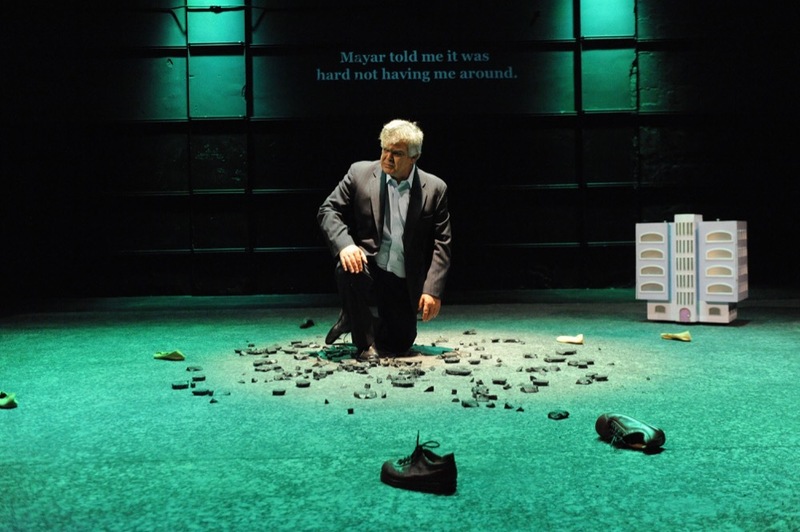 The play, in Arabic and Hebrew with English subtitles, debuted in 2013 at the Habima Theatre in Tel Aviv. All performances will be followed by a panel discussion that will include Mosaic Theater founder and artistic director Ari Roth (read more about him below). “I Shall Not Hate” (Walker & Company, 2011) is the story of the Gazan doctor’s tragic loss of his three daughters to Israeli tank fire in 2009 and how, in the aftermath, he refuses to give up his commitment to peace and coexistence. “Via Dolorosa,” with actor David Bryan Jackson, will be performed Feb. 18 at 2 p.m. The monologue was created from the experiences and observations of Hare, a British playwright who visited Israel/Palestine in 1997. Hare debuted the play in his first-ever solo performance in 1998; he won a Drama Desk Award for Outstanding Solo Performance. One of Washington D.C.’s newest theater groups, The Mosaic Theater formed in the fall of 2015 by founder and artistic director Ari Roth. Roth was formerly artistic director for 14 years at Theater J, an arm of the D.C. Jewish Community Center. Roth’s newest venture, which specializes in what he calls “intercultural encounters,” was awarded the Helen Hayes Award for outstanding emerging company in May 2017; the Mayor’s Visionary Leadership Award in September 2017; and most recently, “Best Small Theater Company” in Washington D.C. by the readers of the Washington Post Express. Read more about Ari Roth’s newest undertaking in a September 2017 interview. Roth is the founder of the Voices From a Changing Middle East Festival, which became a source of contention at Theater J when more conservative stakeholders took issue with the content of some programming that explored the Israel/Palestine history and current occupation. After his widely-publicized December 2014 dismissal from Theater J, Roth was supported by more than 130 artistic directors from around the country and more than 40 Israeli playwrights and directors. Izzeldin Abuelaish has a growing relationship with EMU, from his first visit in 2014 to lecture about his medical career, the Israel/Palestine conflict and his memoir. 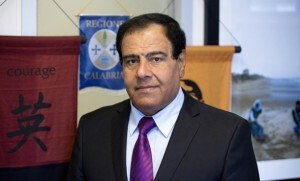 He is the executive director of the Daughters For Life Foundation, which helps female students in the Middle East continue their undergraduate education at universities in the United States, Canada, the Middle East and the United Kingdom. In fall 2017, the foundation partnered with EMU’s Center for Justice and Peacebuilding to further the cause of bringing women peacebuilders from the Middle East to study at EMU. A fall 2017 gala event raised several thousand dollars for the fund while honoring the lives and work of three female peacebuilders; Leymah Gbowee, Nobel Peace Prize winner and EMU graduate; Ronit Avni, a Peabody Award-winning social entrepreneur and media producer; and Suhad Babaa, the executive director at Just Vision, an organization dedicated to increasing media coverage and support for Palestinian and Israeli grassroots leaders working for peace.